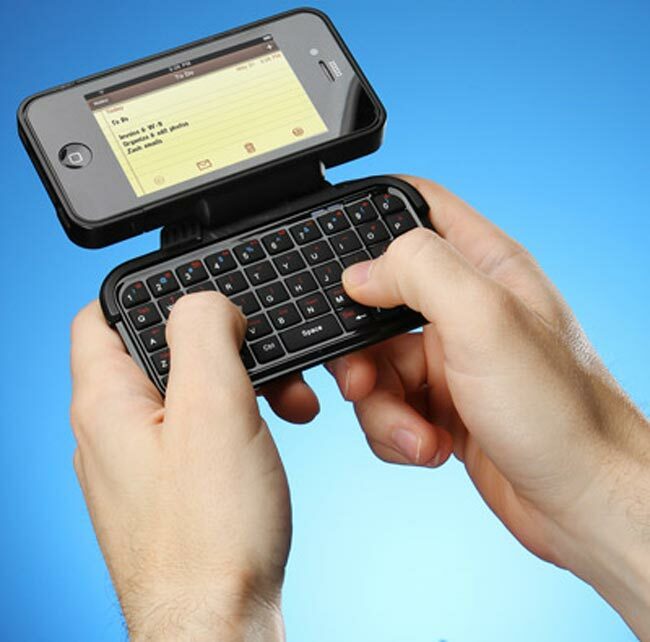 Back in September ThinkGeek teased us with the unveiling of an interesting keyboard case for the iPhone 3GS and the iPhone 4. The thing swivels and has a QWERTY keyboard under the phone to type on. I will admit I wrote an entire post on this thing back in September before I realized the obvious reason no one knew TK-421 was not at his post was because he couldn’t type on the iPhone on-screen keyboard with his gloves on. ThinkGeek has solved that galaxy wide problem with the new case and as of right now you can hop over and buy either version of this thing for about $50. The case comes in a version designed for the iPhone 3GS and one for the iPhone 4. Sorry iPhone 3G users, your handset won’t support the keyboard even though it will fit into the case. The things are shipping right now and should solve any of those “I’d get one if it had a keyboard” hesitations.